Zapp, a new scooter manufacturer headquartered in the UK, unveiled a fully electric, high-performance scooter powered by a pair of cutting-edge, lightweight lithium-ion batteries and a maintenance-free air-cooled interior permanent magnet electric motor. The i300’s 14kW motor produces 587Nm of torque at the rear wheel, which combined with a lightweight construction of 90kg, means a 0-30mph time of less than 2.4 seconds. The easy-to-transport batteries enable owners to charge by simply removing the battery and plugging it into any household socket. Convenience and practicality is maximised, while range anxiety is now a thing of the past. To give users extra range on the go, the new Zapp i300 includes rider-selectable ‘regenerative braking’, which returns energy when the rider shuts the throttle. 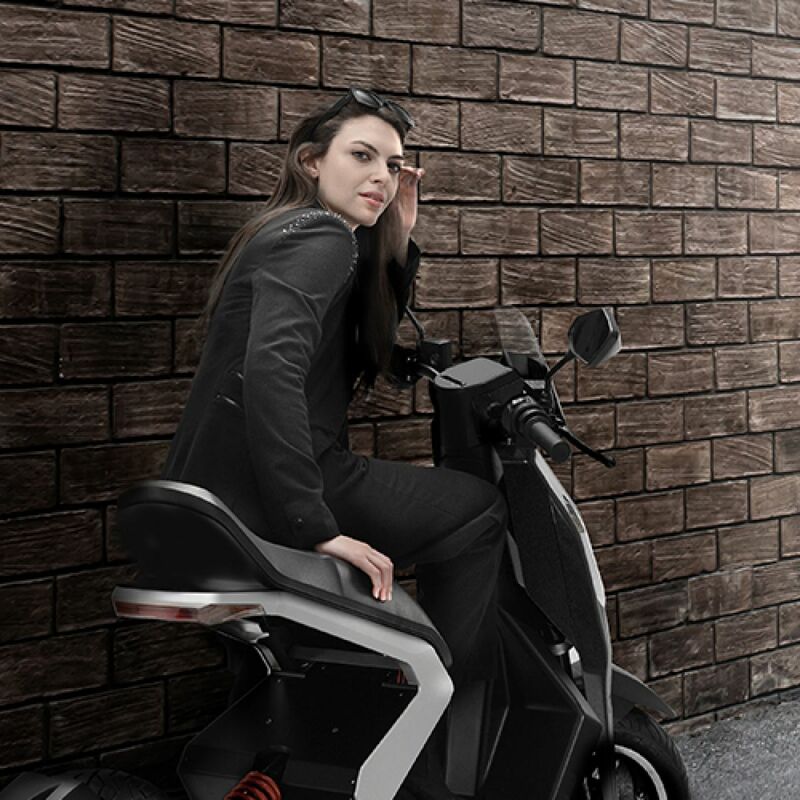 Using the regenerative braking system as the primary means to slow down in heavy traffic not only increases the longevity of the scooter’s brakes, but also reduce another pollution element – particulates. Zapp was founded by a team of devoted motorcycle enthusiasts who are backed with vast experience in the automotive sector. 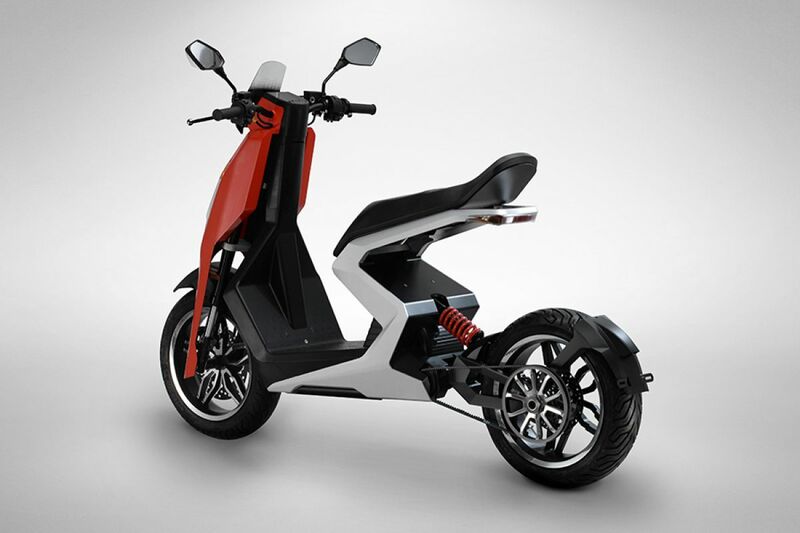 With their expertise, the i300 scooter is engineered with radical, sports bike-like design. 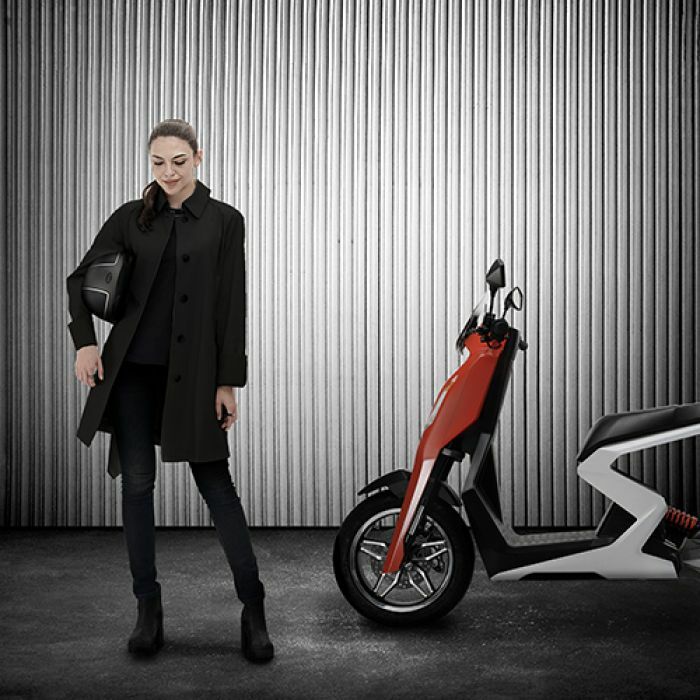 This sporty, clean and technologically-advanced design ethos fulfils the scooter’s performance potential, with the bold styling true to the finely tuned, fast accelerating 14kW electric motor. The Zapp i300 is the first electric road going vehicle of any kind to feature an air-cooled interior permanent magnet motor. Taking permanent magnet motors used by electric supercars to the next generation attests to the inherent high-quality, sporting nature of the i300. 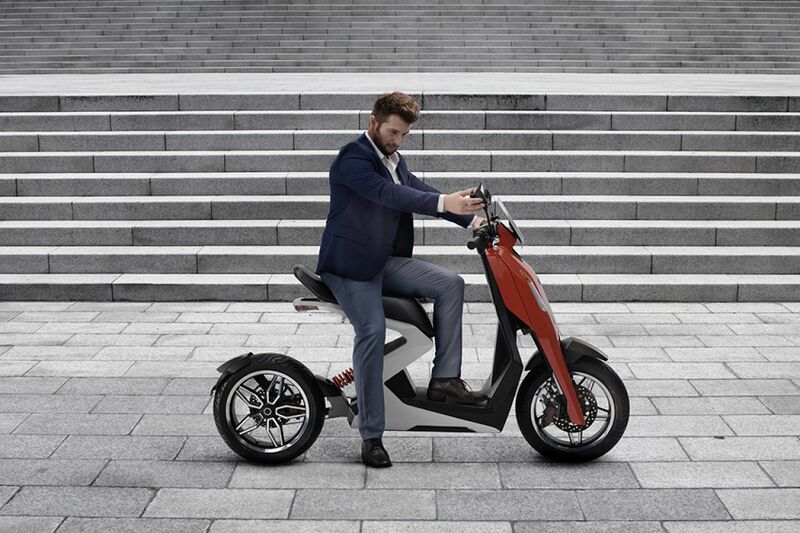 Unlike conventional AC induction motors currently used in the majority of electric scooters, the Zapp i300’s British-made interior permanent magnet motor does not have rotor windings. Instead, it uses magnets located inside the rotor to turn it at the same speed as the magnetic field. An interior permanent magnet motor provides significant efficiency savings over a conventional AC induction motor. It also offers greater reliability and is more compact than conventional motors, despite producing 14kW. To ensure that the Zapp i300 offers unrivalled levels of efficiency, performance and usability, its battery technology is truly revolutionary. The 48V high energy density lithium-ion battery is uniquely designed and packaged to aid cooling and reliability. 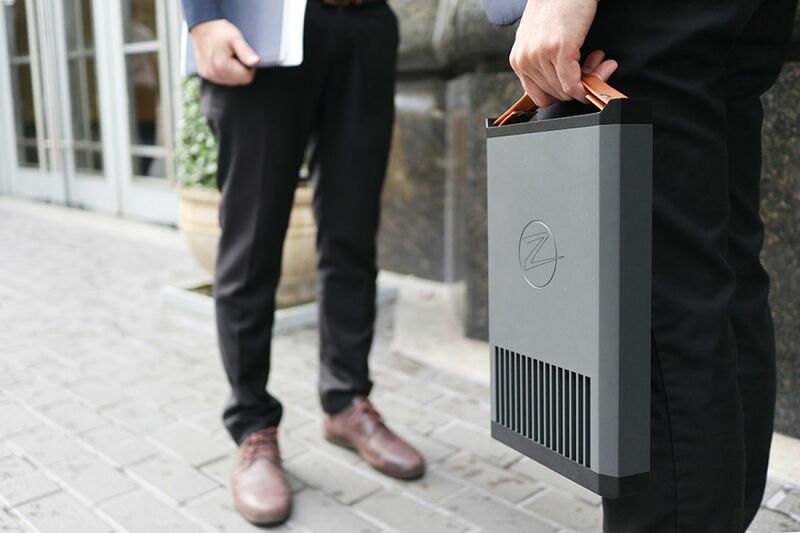 The battery pack measures just 33x21x5cm, making it the thinnest in the market. It weighs less than 5kg and can be easily removed, carried, and charged using a conventional 240V. The Zapp i300 is offered with two battery packs as standard, to ensure the rider always has ample charge, while additional packs can also be ordered at purchase. As standard, the Zapp i300 has a range of 35 miles, with a full charge taking less than three hours. The Zapp i300’s bespoke powertrain coupled with a range of battery selection modes – ECO, POWER and Zapp - makes it the perfect companion for dealing with urban traffic. The instant 587Nm torque at the rear wheel delivered by the interior permanent magnet motor makes the i300 the best accelerating electric scooter on the market, going from 0-30mph in less than 2.4 seconds. This ensures the rider can comfortably beat the traffic and go on to a limited top speed of 60mph. The Zapp i300 has a starting on-the-road price of £5,250.